A cooling, refreshing flavour familiar and loved by most everyone, E-juice Mint is wholesome and recognizable. 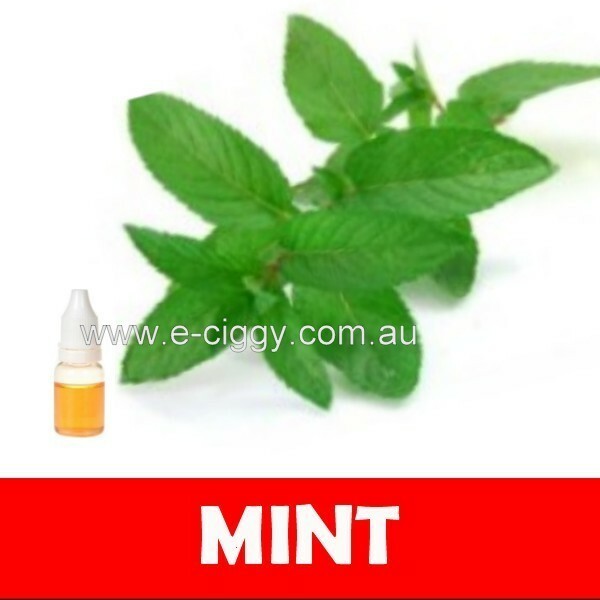 There is no tobacco flavour lingering behind the delicious mint - just the crisp mint flavour you want. This E-juice Mint is smooth and velvety, like candy but without that sweet aftertaste. E-juice Mint will pass the test of even the most seasoned palates. The skyrocketing use of electronic cigarettes may have a lot of benefits not only to users, but also to non-users because these cigarettes contain no tobacco in them. Other than the fact that they contain no tobacco, they have many other advantages when compared to the common traditional one, but the fact that they are a lot safer to use takes centre stage. Since their safety squarely lies on the components replacing tobacco (the e-liquids), let us focus a little more on what the ingredients are. They, also known as personal vaporizers or electronic nicotine delivery system, as mentioned above, do not contain tobacco. Inside chambers known as cartomizers are heating elements and electronic liquids. The e-liquid in most e-cig brands is made of flavourings, water, some liquids can contain nicotine, glycerin and propylene glycol. Whatever produces the smoke that you see coming from the tip of the electronic cigarette is NOT burning tobacco. The illusion is created by the compounds propylene glycol and glycerin. The two are only meant to give the smoker the illusion that they are smoking a common cigar. This means that the "smoke" produced is also safer. Although they contain quite an addictive chemical, nicotine, e-ciggies DO NOT contain the harmful chemicals such as carbon monoxide, ethylene oxide, cyanide, polonium-210, ammonia and so on that are present in the traditional ones. The fact that there are no carcinogenic ingredients in the e-liquids gives them an upper hand and makes them a better alternative. Judging from the ingredients of the e-juice, we can conclude that generally, it is safer to use than the common one that uses solid tobacco. The compounds glycerine, propylene glycol and flavourings do not pose any risk to the health of the user. However, the safety of it is still in question, but so far, no studies have shown that the e-cig could have any detrimental effects on the user's health. Something else that is of great advantage is that their cartridges can be refillable. This is a good thing because they can save you a lot of money. They are also durable, and some users have admitted saving about 80% on smoking since a single cartomizer could be equivalent to 30 sticks of the traditional one.